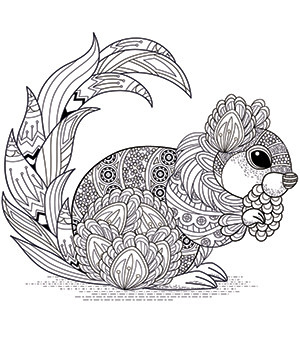 Make fun and soothing custom coloring books for adults. Adult coloring books' popularity has skyrocketed the past couple years, and it shows no signs of slowing down. That's why it's the perfect time to make your very own coloring book. We offer a variety of sizes and paper stocks for perfect binding. We can print from your PDF or even design your book cover and book interior. Most coloring books need cover design as well as interior formatting. 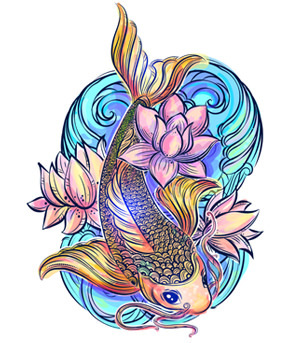 As coloring book publishers, we have professionals who can help you create a unique and attractive design for your custom coloring book. Get started with an online quote or call 877-961-6878 to talk to a BookBaby publishing specialist today. We’ll have your custom coloring book printed in as fast as 5 days. Color inside the lines. Think outside the box. People are going to color your book how they want to. It’s best not to narrow their imagination. Unicorns drinking tea, former Presidents as kids playing backyard games, whatever you want. Just make sure your theme is consistent. Those books tend to perform better. People color to take their minds off the daily stresses of being—gulp—a grownup. Don’t be afraid to take a lighthearted approach. BookBaby makes publishing a coloring book for adults a snap. Coloring book illustrators can now publish and sell their printed books in the world’s biggest bookstores. With our new Print On Demand service you can also sell your printed coloring book directly to your fans without having to pay for large print runs, warehousing, or fulfillment. 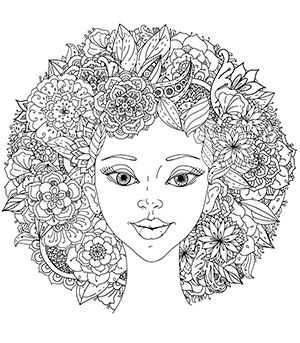 Get a single copy of your coloring book made for just $39!